I always end up loving these timeless collections and the Autumn Masquerade was no exception! First up was The Merry Dance by Josi Kilpack. I loved this story! Lila was such a vibrant and carefree personality. It was a wonderful story about preconceived ideas and notions of love and how love can truly sneak up and find you in unexpected ways. Next was Unmasking the Duke by Donna Hatch. I LOVED this story! It was fantastic because the story grabbed me and didn't let me go. I felt for Hannah who was shy, quiet and clumsy. And then the Duke who couldn't even seem to remember who she was! This is a story you do not want to miss! And last is What's In A Name by Nancy Campbell Allen. I loved the twins! I don't think I have ever read a regency with identical twins in it! Allen wrote a wonderful story of two identical sisters with opposite personalities. Add in the mean Aunt Millicent and I found myself rooting for Penny at every turn! Each and every story is different yet wonderfully written. I found myself wishing there were more stories to this collection! 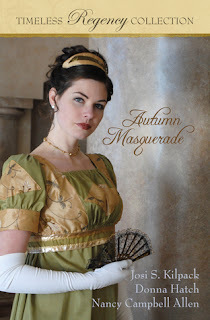 I highly recommend this to any regency fan! 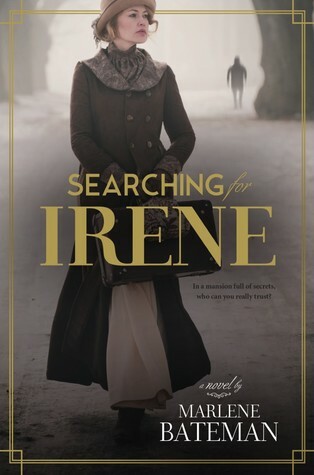 Caught up in a maze of intrigue in a tormented and troubled household, Anna sets out to find the truth behind Irene’s disappearance. She is helped—and often hindered—by the temperamental Tyler Richardson, who—despite her best intentions—begins to steal her heart. This book completely took me by surprise! I didn't just get a story, I got a full-on whodunnit mystery! Every single time I thought I had this book figured out, it would throw me a curve ball and I would second guess myself. Bateman kept me reading hook, line, and sinker! Honestly, until the very end when all was revealed, I still did not know who was the bad guy. And let me tell you, I am still reeling from the mystery being solved! The mark of a brilliant author, Bateman kept me on my toes and I never saw the ending coming! My only complaint is that the ending didn't wrap up quite like I wanted, but hey, I like epilogues and pretty bows tying everything up. I cannot wait until Bateman writes her next novel! It's been more than a year since she lost her family - a tragedy that has left Grace Whitaker a shadow of her former self. 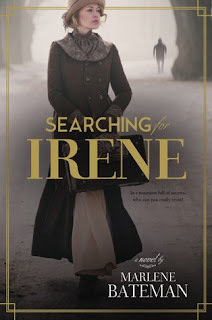 Unable to move on surrounded by so many memories, she makes the desperate decision to return to her childhood home in Port Dover, Ontario, Canada. There she hopes to salvage the broken pieces of her life - but what she finds is the promise of peace and healing in an unlikely place. Grace's story really drew me in as a reader right away. I wanted to know what she was running away from and what she was trying to find. What had happened to cause her so much and to shy away from children? What was her story and how would she find the peace she was seeking? I found her story compelling, emotional and moving. I wanted to give her a great big hug and tell her it would be okay and that she could work through it. The Whelan family felt like family to me by the end of the book. I loved Toby especially, he tugged on my heart strings. This is a beautiful story that shares Grace's journey and the people she meets along the way. Broadbent Manor is a home brimming with life and love. With eleven adopted children in her care, young widow Lily Broadbent is in search of the right tutor to instruct and nurture her young charges. 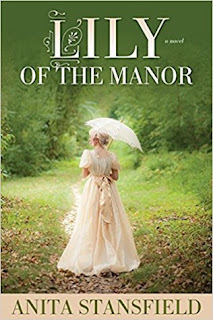 So when Frederick Woodstone arrives on her doorstep seeking the position, Lily is quickly impressed by his qualifications—but even more pleased with his gentle manner and immediate rapport with the children that society cast aside. It is clear: Mr. Woodstone is a perfect fit for the family. From the moment he arrives at the manor, Frederick is enchanted by the lady of the house. Lily is a pillar of strength and compassion, and her striking beauty is undeniable. As the pair works side by side to teach the children, their professional association evolves into something far deeper. But when they stumble upon a young boy in dire circumstances, their relationship is put to the test as Lily makes the impetuous decision to rescue the child—no matter the consequences. What follows is a chain of events that will threaten all that Lily has built for her young family, as the fight for the safety of one small boy becomes a battle between life and death. Stansfield has written a different spin on a regency novel! Mr. Woodstone, a vicar turned tutor, prays that he can find the right job and ends up at Mrs. Broadbents home. He quickly realizes that her home is not the norm and she has adopted eleven children, all of different circumstances. I enjoyed how Stansfield brought prayer and God into the book but not so much that it was over the top. It was a beautiful balance that many authors cannot achieve. It did take awhile to get completely into the story, but Stansfield always delivers a book worth reading! You can pick up your own coy via Amazon. How do you tell someone who hates you and blames you for the death of his best friend that you miss him? From the bestselling teen and young adult author of Cinder & Ella comes a new heart-wrenching romance sure to bring all the feels. The tragic death of Spencer Schott unravels the lives of the two people he loved most—his girlfriend, Bailey, and his best friend, Wes. Secrets and guilt from that fateful night keep both Bailey and Wes from overcoming Spencer’s loss and moving on with their lives. Now, nearly a year later, both Bailey and Wes are still so broken over what happened that Spencer can’t find peace in the afterlife. In order to put his soul to rest, he’s given one chance to come back and set things right...even if that means setting up his girlfriend with his best friend. With the emotional resonance of Jellicoe Road and the magical realism of The Lovely Bones, The Ghost of You and Me is a story about overcoming grief, finding redemption for past mistakes, and the healing power of friendship and love. Fans of John Green, Sarah Dessen, and Nicholas Sparks are sure to love this haunting new tale from Kelly Oram. This is a clean young adult romance stand alone novel that reads like contemporary drama romance and has just a touch of magical realism. Now this story is one that you want to buckle your seatbelt for! Honestly, I stayed up until 1:30 am to finish reading it, I could NOT put it down. Right off the bat I was pulled into Bailey's story; her two best friends Spencer and Wes. They were like the three musketeers! And one game of spin the bottle changed everything and then it was Bailey and Spencer as a couple. Then tragedy strikes and I could not even begin to imagine the pain and suffering that Bailey went through along with Wes when Spencer died.This story is full of so many emotional issues. Death, suicide, cancer, love, loss and guilt. Add in there the ghost of Bailey's dead boyfriend and it gives the story a twist and some humor from a ghost. A YA story that packs all the punches, The Ghost of Me and You is a tragically and emotionally beautiful story. Kelly Oram wrote her first novel at age fifteen--a fan fiction about her favorite music group, The Backstreet Boys, for which her family and friends still tease her. She's obsessed with reading, talks way too much, and likes to eat frosting by the spoonful. She lives outside of Phoenix, Arizona with her husband, four children, and her cat, Mr. Darcy. Ends 7/26/17 Open only to those who can legally enter, receive and use an Amazon.com Gift Code or Paypal Cash. Winning Entry will be verified prior to prize being awarded. No purchase necessary. You must be 18 or older to enter or have your parent enter for you. The winner will be chosen by rafflecopter and announced here as well as emailed and will have 48 hours to respond or a new winner will be chosen. This giveaway is in no way associated with Facebook, Twitter, Rafflecopter or any other entity unless otherwise specified. The number of eligible entries received determines the odds of winning. Giveaway was organized by Kathy from I Am A Reader and sponsored by the author. VOID WHERE PROHIBITED BY LAW.